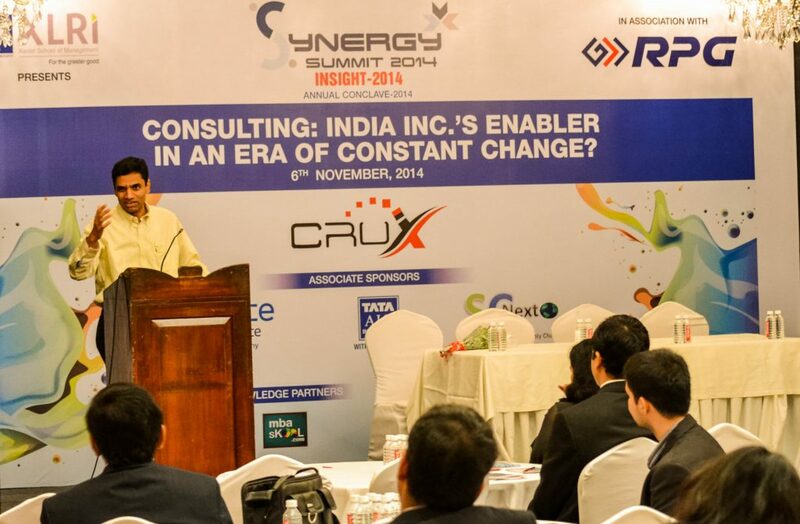 XLRI – Xavier School of Management, the premier B-School in India in association with RPG Enterprises hosted one of its biggest events of the year ‘Synergy 2014’ – The 1th Edition of its National Annual Business Conclave on November 6 and 7 that brought together celebrated industry leaders, academicians and students on a common platform. 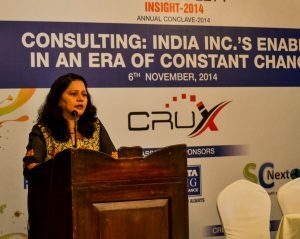 The 1st day of Synergy 2014 began with the consulting conference Insight, inaugurated by Mrs. Seema Modi, MD of Heinz India and Mr. Krish Shankar, CHRO of Philips. Mrs. Seema Modi shared her ideas on how the onus of development lies not only with the government but also on the private sector. She emphasized the need for business leaders’ need to be fiscally responsible and socially sensitive and quoted multiple examples from her work in the FMCG sector. Brining in an HR perspective, focusing specially on the areas of strategy, HR and M&A, Mr. Krish Shankar stressed on asking the right questions. He also focused on the importance of talent and culture based due diligence, adding that “Management of intangibles is very important”. These speeches were followed by two panel discussions on ‘Business model transformations and innovations’, consisting of eminent business leaders Mr. Vijay Sampath, Mr. Kailash Kulkarni, Mr. Avartan Bokil and Prof. Munish Thakur and on “M&A Intergration and HR Readiness” with a panel consisting of Mr. Srinivas Chunduru, Mr. Nisheeth, Mr. Abhijit Mishra and Mr. S. Venkatesh. All industry leaders highlighted the need for innovation, given the constant change that is being brought about in business dynamics. Scale, the operations leg of the conference, saw a panel discussion on ‘Supply Chain in India: Are we geared up?’ consisting of industry experts Ms. Shailja Arora, Mr. Bishram, Mr. Paresh Nair and Mr Ryan Veigas. The highlight of this conference was the speech by Mr. Alvis Lazarus, India head Distribution Center, Flipkart who shared his views on how a career is supply chain is exciting and what are the challenges presented while working for an e-commerce giant. 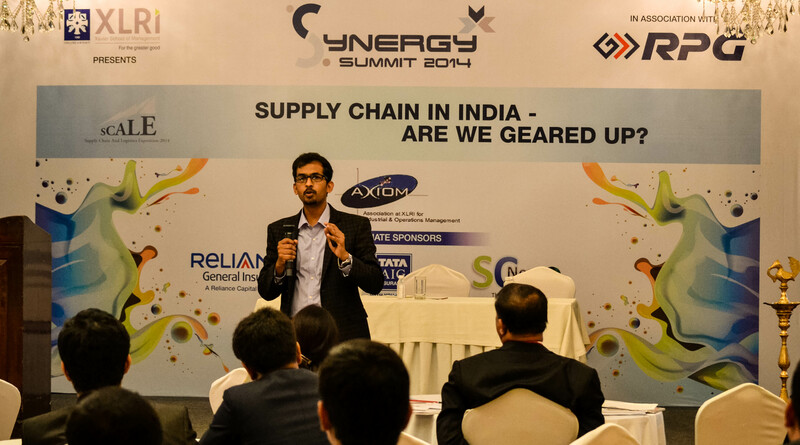 The 2nd Day of ‘Synergy 2014’ witnessed the finance leg of the conference and had speeches delivered by eminent industry leaders such as Mr. Saurabh Sarkar (MD and CEO MCX – SX) and Mr. Navneet Munot (ED & CIO – SBI MF). Mr. Saurabh Sarkar identified the banking sector as the most important for growth and acknowledged the issues of regulatory compliance. He believed the country is under-banked, but the cities over-banked. Talking about the Future of Finance, Mr. Navneet Munot threw light on how the financial markets would soon become digitized though it has not seen the disruptive power of technology yet. The talks were followed by a panel discussion on ‘Indian Insurance Sector – the way ahead’ comprising of well-known panelists such as Mr. Praveen Gupta, Mr. Sushant Sarin and Ms. Deepika Mathur. Additionally, the forum was used by the three committees to launch their respective magazines Visionarios (consulting), The Finance Manager (finance) and Axis (operations). These magazines are an endeavor to create a platform for enthusiasts across a wide spectrum to pour in their ideas and share their opinions on various relevant topics. 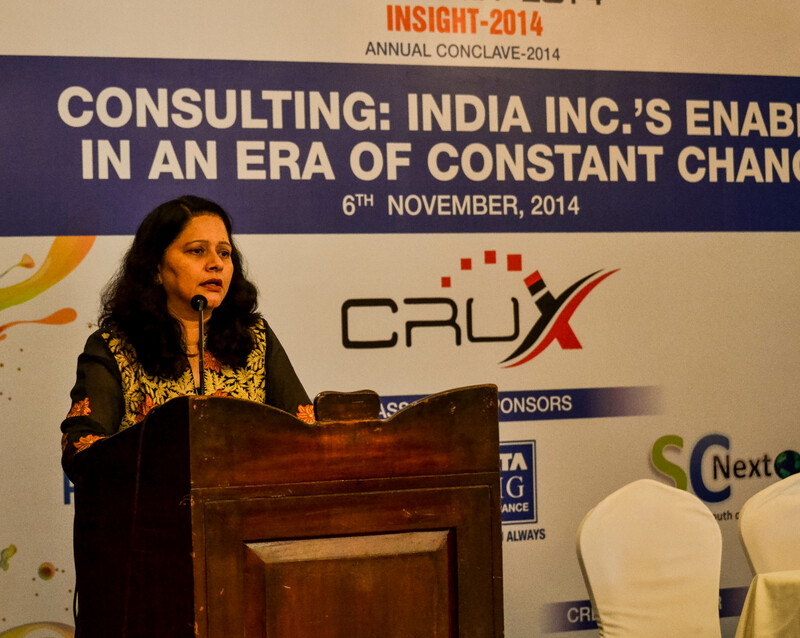 For the students of B-Schools in Mumbai, competitions on debate, stock pitch and paper presentation were organized. This saw active participation from students of SP Jain, NMIMS, NITIE, JBIMS, KJ Somaiya and SIBM Pune.